Rppoft NCV. 1 April 30, 1934.
in force for forty years. This treaty has not yet been ratified. Persian Gulf Historically used by the British to refer to the sea area between the Arabian Peninsula and Iran. Often referred to as The Gulf or the Arabian Gulf. Principalities. 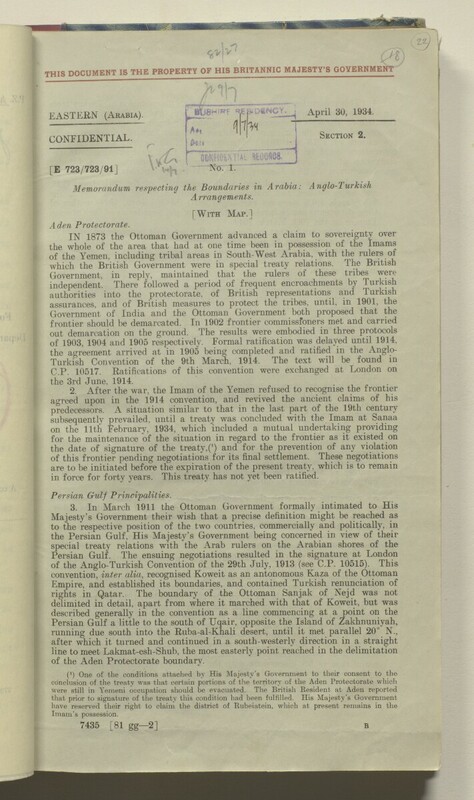 of the Aden Protectorate boundary.